Golf is good for your health and happiness – and could save millions of pounds for local authorities, according to new research. The findings are the result of an investigation by England Golf, Mytime Active and ukactive into the impact of playing golf on health and wellbeing. 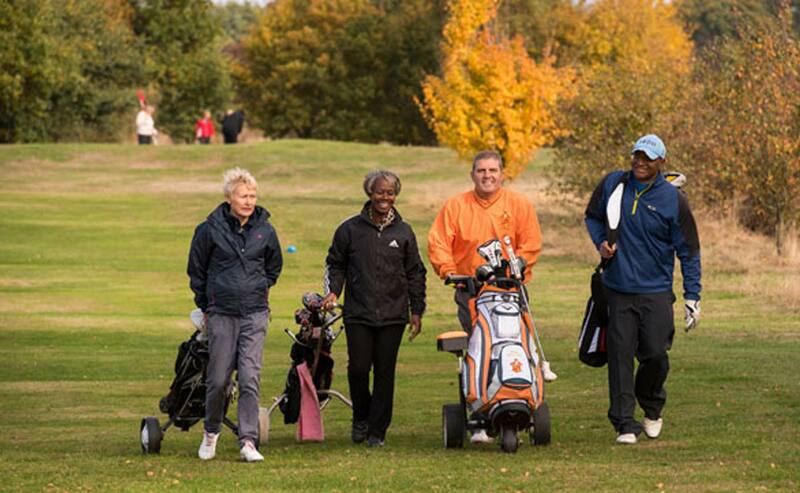 Over 3200 golfers at 12 Mytime Active courses were surveyed about their participation. The results suggest the sport is attracting significant numbers of people who haven’t been getting enough exercise and, once they get into golf, they’re likely to keep playing and improving their fitness. The more they play the happier they’ll be, with the golfers who took most activity scoring well above the national average for their mental wellbeing. As a result, it is estimated that golf is saving local authorities in the survey area a total of £3.4m a year in health costs. There are even bigger potential savings if the golfers who play the least continue their participation and become more active. The findings will be used to investigate the possibility of making golf available on referral by GPs. It will also help to find other ways to encourage inactive golfers to play more and to generally promote the health benefits of the game. The research highlights the appeal of golf to people who do not undertake at least 150 minutes of exercise each week, as recommended in the Chief Medical Officer’s (CMO) guidelines. More than 70% of the people surveyed were in this category. The research also shows that golfers are likely to stick at the sport. More than 70% were positive that they would play golf regularly during the next year. However, the evidence showed that some people don’t count golf as exercise, highlighting the need to promote this aspect of the sport. A large number of golfers (78%) are satisfied with their lives and the survey finds their mental wellbeing increases very noticeably, the more they play. The most active golfers scored an average 8.35 out of 10, when assessing how satisfied they were with their lives; the score fell to 7.12 for inactive golfers. Golfers also show higher levels of social trust than the general UK population; increasing the levels of trust between people is seen as essential to strong communities and economic growth. Over half of the golfers surveyed gave a high score to this question (7 or more out of 10), and again, those who played more, scored it highest.